With God the Father one generation is exactly 70 years. Israel was recognized on May 14th, 1948 as the State of the Jews. From that moment on, the countdown has begun. This is where Jesus spoke: “Now learn the parable from the fig tree: when its branch has already become tender and puts forth its leaves, you know that summer is near; so, you too, when you see all these things, recognize that He is near, right at the door. Truly I say to you, this generation will not pass away until all these things take place.” (Matthew 24:32-34) The presumable Rapture could then take place, before the month of May of the year 2018! After the birth of Jesus, 70 years later Jerusalem was demolished. 70 years after the birth of the State of Israel Armageddon begins! The End Time (3x 6 year’s) has started in October 2000 and will end in March 2018. This is a time in which people can still choose freely to follow the Lord. But after the Rapture has occurred, man has no more free will and choice and thus is brought to an end the significance of the End of time. Which of my readers have noticed these times? See Internet! “8 hours in Heaven” by Ricardo Cid. Pastor Brani Duyon (may 2006) Borneo Evangelical Church, Kota Belud, Sabah. (East-Maleisië) “Tell My children, they must be ready and alert, because I will be coming soon. Sooner than people expect!” said the Lord Jesus. 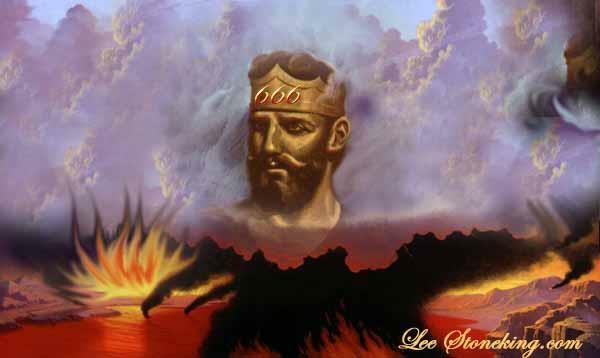 Birth of false Prophet/ Antichrist was on Feb.5th, 1962. But another date is known. Namely Feb.3rd, 1962. See internet! During the months Nov./Dec.2015 he will reveal himself. For years I kept myself busy with the Rapture. But then, on Saturday night, March 23, 2013, something occurred. Jesus gave me a very special vision that night. The day and time, we cannot define it, that’s impossible. But seeing this drawing considering the Rapture, the year and month are easily to be recognized. Would I have been able to invent this? Maybe. 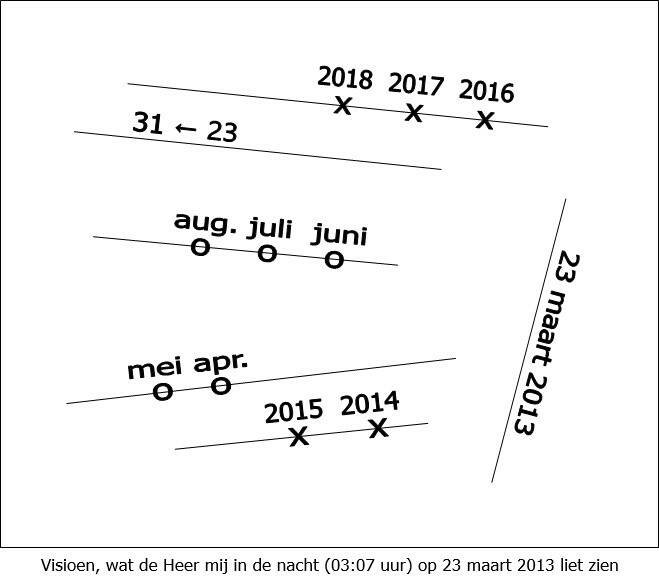 But I certainly would not get the idea to write the dates and months, from right to left, and certainly not the date (March 23rd, 2013) on its side, so down and below the line. Besides, all lines are oblique. The two lines to bottom, indicate a time that ends. The three lines up to give a new time.